Well its been a while coming but Samsung are finally starting to promote their Samsung HD-SDI CCTV solutions to the wider market. We have seen the SCB-6000 HD-SDI camera before and this is well priced at around £370 . A full box camera, with day/night operation has been enhanced thanks to the new WiseNetII DSP chipset . This helps deliver a noise reduction system that eliminates noise without causing ghosting . In addition the SSDR super dynamic feature increases detail in dark areas. Also within the Samsung HD-SDI range is the SCD 6080 full HD dome camera. The Samsung HD -SDI recording solution is currently in form of a 4 channel HD -SDI DVR . The SRD-480D is again a full HD resolution recorder that gives us clear sharp images on playback. 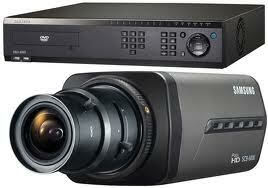 A price of around £1875 means that it competes well with other HD-SDI DVR’s in its class. Available from most leading distributors such as AASSET, ADI, Norbain and Provision, Samsung are finally begining to advertise and push HD SDI as great way to get HD CCTV over coax the perfect solution for upgrades to analogue CCTV systems. This entry was posted on Wednesday, July 25th, 2012 at 20:21	and is filed under HD SDI CCTV. You can follow any responses to this entry through the RSS 2.0 feed. Both comments and pings are currently closed.